this with a 1x12 fender cab? 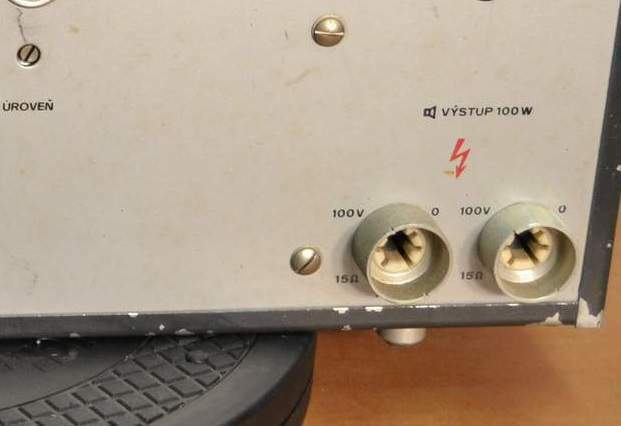 I have no idea what it is, but it seems to be a solid state MIJ copy of a bassman 100. If anybody has that, what i basically want to know is if it does nice feedback, or just screeches I just love the look of it. or this? well i know enough about this one and i like it, but i hate the way it looks, also not sure about the power for rehearshals. Get a Tesla Music 70 or 130, seriously, those are awesome, all valve, they have an guitar input on the back and writing in Slovak, the youtube demos of the 70 just have it playing recorded music, but there's a couple of demos of the Music 130 with guitar if you look. I have a vaporizer. Loud enough for practice and small gigs. If you have a loud drummer you'll be in crunch zone at band volumes but it breaks up nicely. Reverb is wired in a way that causes hum when on, nearly unusable which is sad because the spring reverb sounds great. I just saw your feedback question...I'll try to do a video demo for you later. if it's based on the bassman 100 circuit, that MIJ amp is going to be a beast. you can definitely get it to break up and feedback but may have to crank it with that much headroom. of course, your mileage may vary since i have no idea how the thing is weighted tonally. Tried a studiosolo 132, but i am too afraid to use something that drives your cabinets with 100 volts output voltage. don't want my speakers to fly off the cabs on fire. Fancied a Vaporizer for ages, shame about the reverb. Does it do that on all settings? Dots, it is no problem to get it to feed back with my BigMuffDS-1 army. It's just that it is a solid-state cirquit, that's supposed to be just valves replaced with trannys... And i have a bad feeling about it going just into super high pitched screeching noise, insted of actually doing the harmonic sound. Some amps just do that. I think those are solid-state though. i think it's 100 watts, dude. it is not. the tesla music were originally meant for giant speaker rigs on communist manifestations... they clearly state next to the speaker jack... Output 50W 100V min 15Ohms. V�stup meaning output in czech. Photo of the 100watt variant, but nevermind. Demonstrating the reverb hum and feedback. The feedback probably wouldn't be so prominent if I was standing further from the amp or didn't push the gain so high. The switch I pressed near the end of the vid is the "vaporizer" switch which bypasses the tone and volume....I never use it really because it's usually a huge volume difference. Can do a more serious review with real playing if you're curious how it actually sounds. Ooops I misunderstood this whole thread. Thought vojtasTS29 wanted to know about the feedback on the vaporizer not the mij bassman. Oh well haha. I did not know that, the one I played through was connected to a giant bass cab, I guess it had the necessary transformers. Sure;y if you behave most excellently then Santa will bring you both? The obvious answer: try the Bassman 'copy' out with your own gear then make a decision. Just because it's based on something, doesn't necessary mean there's going to be any real similarities, especially when changing the circuit from tubes to solidstate.